From brow tinting to microblading to brow powders, pencils, and gels, we’re spoiled for choice when it comes to products that help achieve full, lush brows. And with every passing day, we’re blessed with more product launches and tips to achieve full, lush brows. Over the past few years, I’ve bounced between a few tinted gels to achieve my lazy, bushy brow look. I find pencils or powders to be too demanding and I’m probably not alone. For example, Glossier’s hero product, Boy Brow, gained cult status thanks to its simple, one-step ease of use. Another youth-approved, easy-to-use brand, Milk Makeup, offers a similar all-in-one product with Kush Fiber Brow Gel, which shapes and tints hairs in a few quick swipes. I’ve used both of those products on and off for a few years, naively pleased with the results until I ran across one drugstore product that changed my brow game forever. 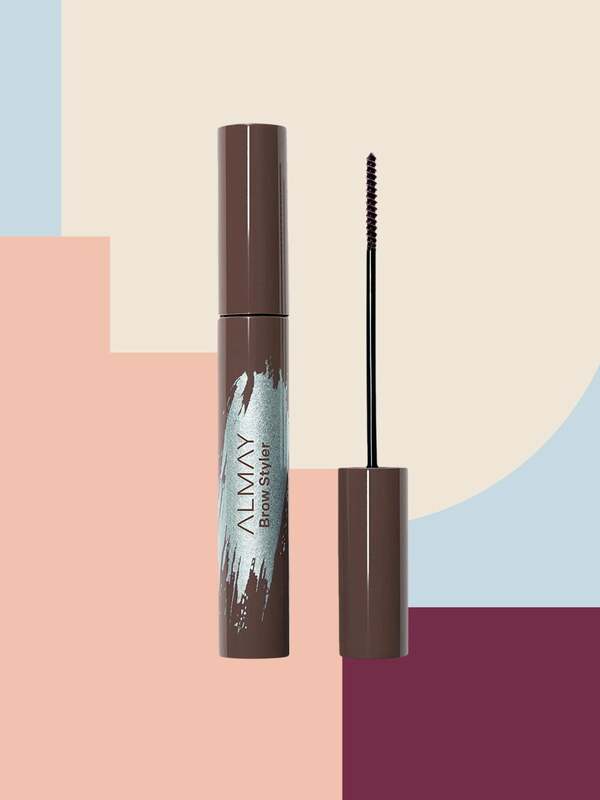 May I introduce you to Almay’s Brow Styler, $8.49? It’s the underrated brow gel no one seems to be talking about yet. I opened the packaging not expecting any type of brow revelation, but I immediately discovered that it looks different than it’s trendy counterparts. The wand itself is long with petite bristles, and this is where the magic happens. Those tiny bristles have less product concentration, so you don’t soak your brows in tinted gel in the first swipe, which is a common problem that I have with other brow gels. The wand also allows you to grab the hairs easier, coating each and every tiny hair lightly while also shaping them. I personally like my brow hairs to stand up like little hair soldiers posturing themselves upright, and those abbreviated bristles allow me to do so in a flash. Impressively, the formula has marula oil in it to condition and strengthen hairs so you can shape and tint while restoring your brows. And at $8, it’s almost too much of a steal to not grab and experiment with. If your brows are looking for options, here are a few other brands users just can’t get enough of. This gel comes in six shades and has tiny microfibers that give the illusion of more hairs and thicker brows in a few swipes. The product is more focused on thickening than shape, so it’ll be tricker to stand hairs upright. It’d be rather rude to not include Boy Brow in a tinted brow gel roundup. The product changed the brow game, simplifying the process of grooming your brows into a handy small tube. It’s as good as you’d think, but the wand does deposit a lot of tint, so try to clean it off first if you run into this issue. This brow gel is an impressive $2.99, and reviewers on Ulta’s site are abuzz with glowing reviews. The wand and formula are similar to pricer counterparts, and reviewers say it lasts all day long too.